It's time to clean out your home libraries and restock them with some exciting (new to you) books! 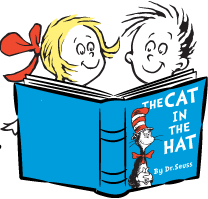 Challenger PTA brings you the annual Book Swap to celebrate Dr. Seuss’ birthday and kick start Eager Reader! * Anyone in the Community is invited to attend. Pass the word around!